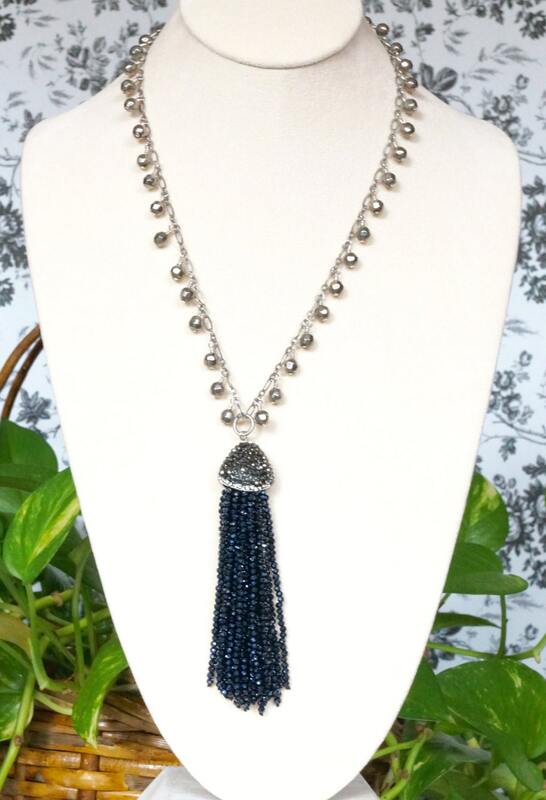 Here you have a long tassel necklace that is in neutral colors: black and silver. 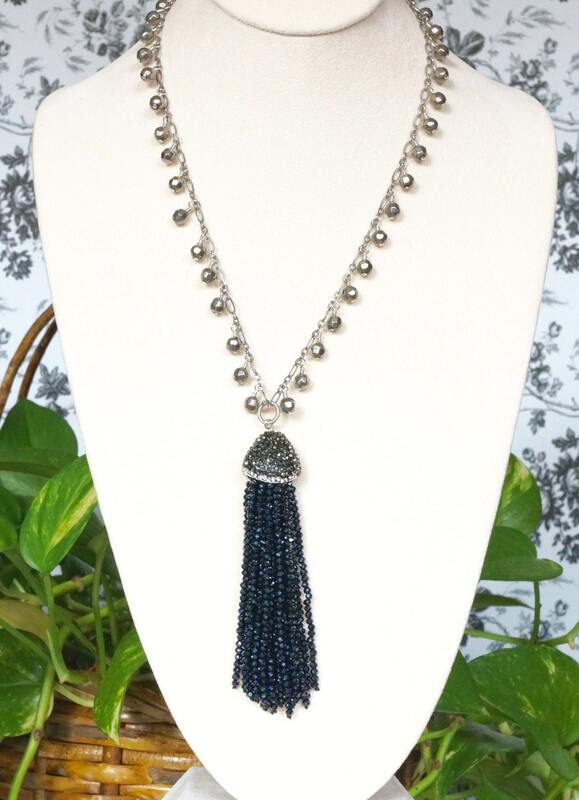 The tassel has a pave top, and hangs on an antique silver chain. 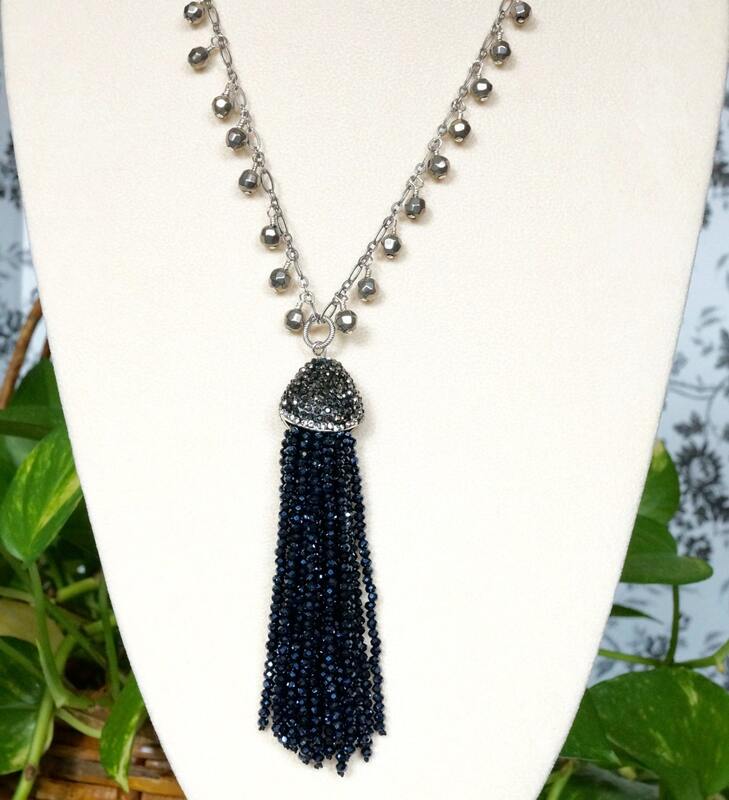 The chain has silver dangle beads. 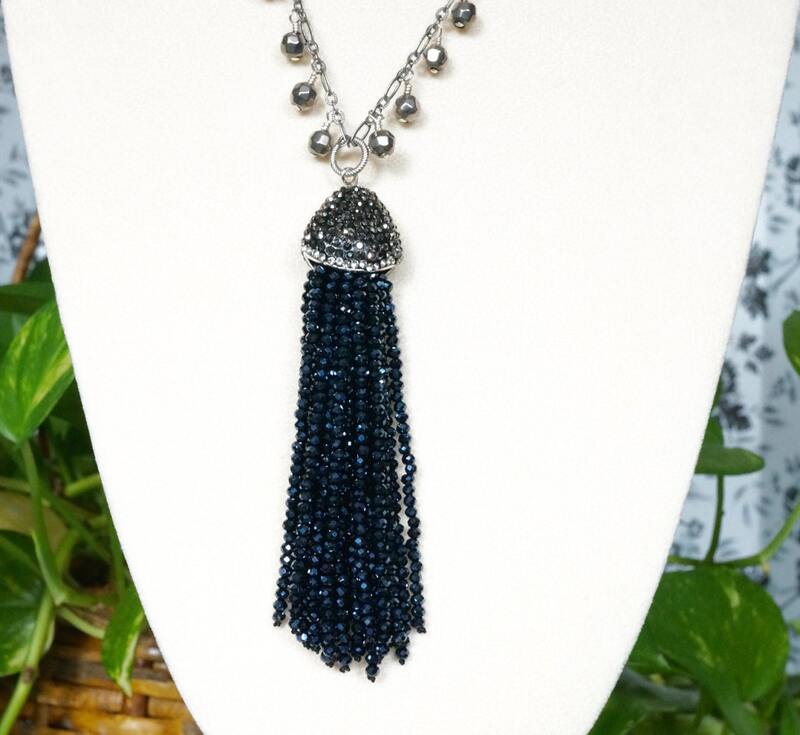 It is 44 inches long, including the tassel. It does not have a clasp. You can just put it on over your head. This can be shortened, per your request. Just message me before you purchase.